Parking Private parking is available on site (reservation is not needed) and costs USD 23 per day. This property is 2 minutes walk from the beach. This luxury AAA Five Diamond Award winner hotel features 2 outdoor swimming pools, a spa and a private beach. It has modern rooms equipped with an iPod docking station, CD player and cable TV. 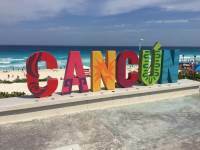 Downtown Cancun is 11 miles away. Kayantá Spa and Salon offers a wide range of massage therapies, body treatments and facials. There is also a gym and tennis court. Cabanas are available on the hotel’s private beach. 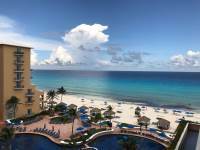 The Ritz-Carlton Cancun’s elegant rooms feature a minibar and work desk. 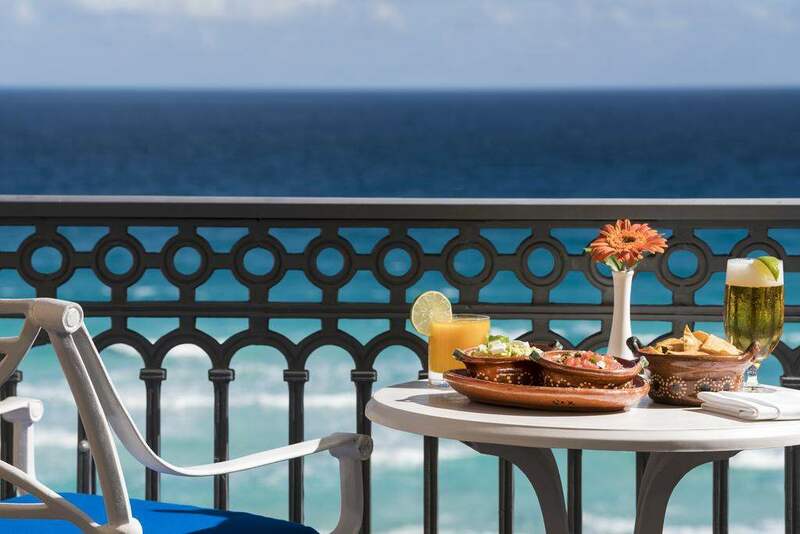 All rooms have a balcony with ocean views. The private bathroom includes a bathrobe, slippers and hairdryer. 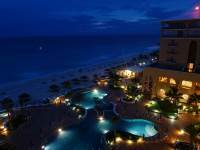 Just 20 minutes from Cancun International Airport, the Ritz-Carlton can arrange airport and area attraction transportation. Aquaworld, offering boat trips, is just over one mile away. 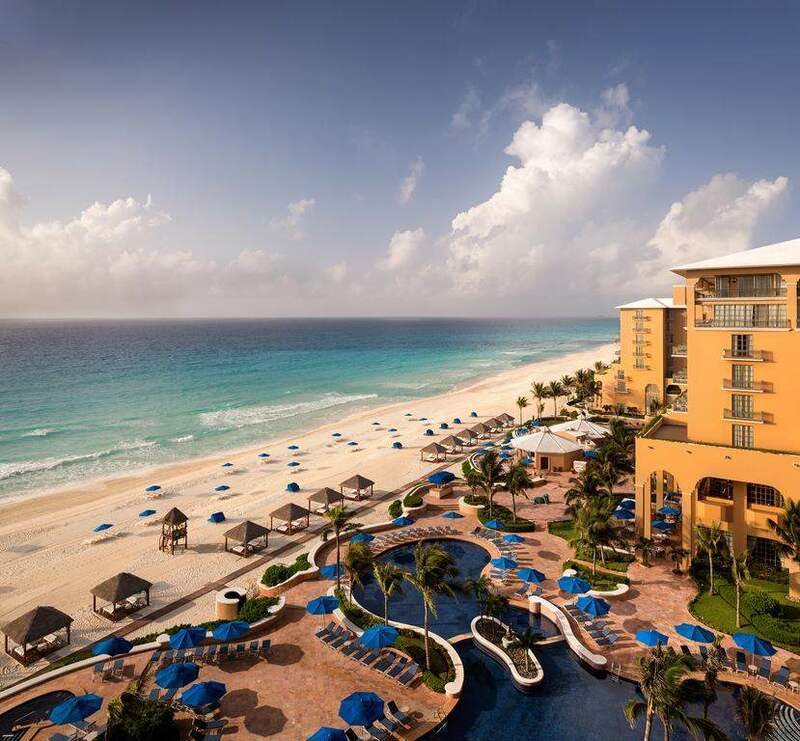 Beautiful hotel on Cancun beach. The rooms are modern and clean. 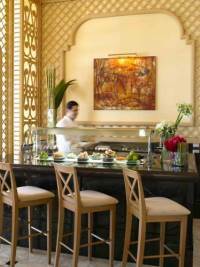 The service is great and the staff puts a lot of attention on the guests. 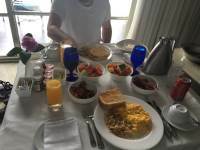 For example, after a couple of mornings at breakfast they understood what I usually had for breakfast and prepared this on the table before my arrival! The pool area is beautiful and also has a jacuzzi pool. The hotel also has a couple of very nice restaurants. One of them has beautiful cabanas directly on the beach. I would also recommend visiting just for dinner. We were very comfortable and happy staying here. You won't want to leave! The property is beautiful. 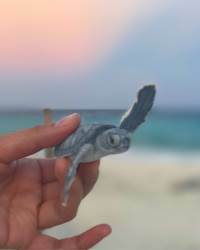 We stayed in October/full moon and happened upon newborn baby sea turtles on the beach.We had 8th floor Club access which turned the hotel all inclusive -free drinks, meals, etc. 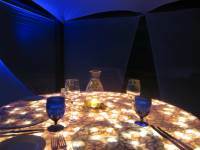 We also had a dinner on the beach with the table lit up...it was all pretty magical really. The staff is spectacular. 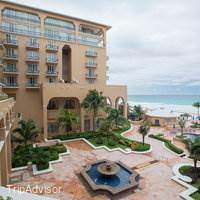 My friend and I had a wonderful stay at the Ritz Cancun. 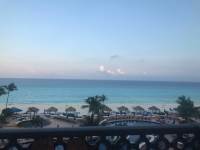 We had a beautiful ocean view suite and enjoyed the beautiful beach and the wonderful hospitality and food served at Fantino. Try the tasting menu it's very good value for money. Thank you for a lovely holiday. 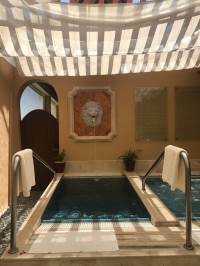 Thanks to Renee at the pool for great service with a smile, Juliana for night service to my room, so sweet and conscientious Christopher in the club for his service with a smile every morning. These people made my stay memorable. Cannot forget Frank Franco for all he did for me. 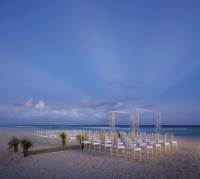 They all make the Ritz-Carlton the best of Cancun! 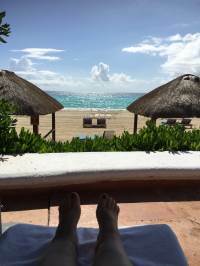 I have nothing bad to say about my stay at the Ritz Carlton in Cancun. The hotel is clean and beautiful, and the service was outstanding. 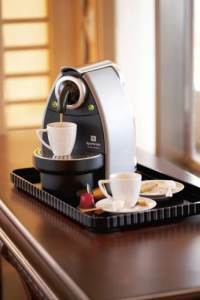 They truly go above and beyond to provide you with everything you need to have a comfortable stay. I would highly recommend this hotel to anyone! 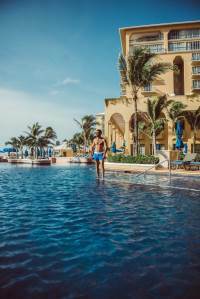 Overall my experience at the Ritz-Carlton Cancun was excellent. 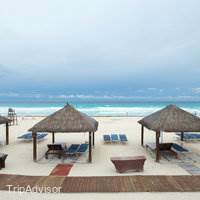 The hotel itself is well designed and maintained, including the beach, pool area and health club. 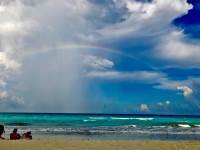 The beach was immaculate, with plenty of umbrellas, high quality beach towels and comfy chasie lounges. 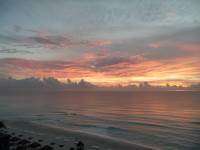 My Ocean Front room was clean and comfortable, with an enormous bath area and a great view of the ocean. 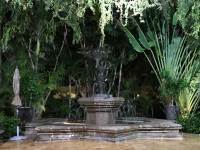 The food at the restaurants -Fantino and the Caribe Grill was excellent, as was the service. The breakfast buffet was outstanding with wide choice of fruits, breads, pastries, etc. 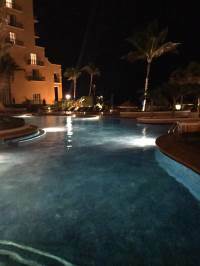 Best of all was the excellent , genuinely kind and friendly service provided by the entire hotel staff including the front desk, concierge, maids, bartenders and waiters, gym staff and beach boys. I have had the great opportunity to stay with this Ritz Carlton for 5 days. From the moment we arrived till it was time to go we have been treated like family. I would like to give a shout out and big thank you to a few people who made our visit extra special. First our bellmen Marco and Daniel. 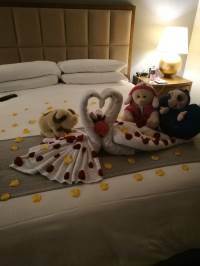 Our front desk agent Ana, the amazing Begona at concierge, Sandi who took loving care of our room, Able was the master of the beach and made our Valentine's Day perfect while in his care. On our visit we were in the breakfast area everyday. My compliments to the chef. Breakfast at so many hotels seems to be an after thought. Chefs tend to put the love only into dinner. I can assure you this is not the case here. The buffet is beautiful and fresh. It is nice to see a place that is not cutting corners just to get food out to their guests. You can order from a menu as well. There is a beautiful omelet station where you can chose everything you want to make it perfect for you. Beautiful fruits and pastry that are beautiful and not looking like something they just pulled out of the freezer section of the local supermarket. We had dinner in the bar one night as well. We stopped in to just have pre dinner drinks. Our server was so inviting and lovely, sorry I forget her name :-(, that we friend a couple food items she recommended and loved them so much we ended up having dinner there rather then going to our reservation. We did not bring proper clothes to eat in the other restaurants. We were always treated and served with genuine care and made sure our comfort and satisfaction was always in mind. One note to guests, if you are wanting to spend a relaxing day in your room resting put out the sign on your door. 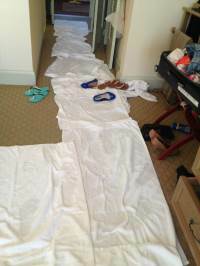 I did not do so and found myself awakened several times by people checking mini bar, ice, and all those kinds of things. Awesome in many levels of service, quality and beauty! Highly recommend for business or pleasure if you are looking for perfection in service and quality. 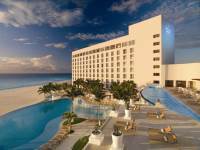 A game changer in Cancun! The attention to detail made this experience very unique. The dining experience and bar tending was spot on with food quality a plus. We stayed here for a three night vacation during April 2017. Hotel was nice and the staff quite friendly. We were fortunate to have a beach facing balcony room (definitely a plus). Staff were generally friendly and helpful. During our stay, we ate all meals at the hotel rather than venturing elsewhere but there were plenty of nice options on site. Breakfast was a buffet format a El Cafe Mexicano (or a la carte if you chose) with several local dishes. Dinner we had sushi from Sushi Bar (excellent!) within the main bar/lounge which was more formal environment than El Cafe Mexicano but still relaxing and much fun during the evenings. Dinner our last evening was spent at The Club Grill. This was by far the most formal in terms of environment, but not stuffy. The food and wine were excellent, as was the service. 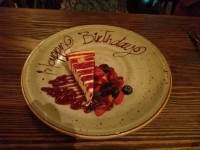 It was a few weeks prior to my birthday and the staff had prepared a little something special which was much appreciated and made for a memorable stay. Additionally, a special thanks to the grounds crew and housekeeping who keep this place immaculate. There is a reason why the Ritz-Carlton is the Ritz Carlton. It takes pride in offering the perfect experience to all of their customers. Even before I got to the property, I had a mix-up with my hotel arrangements. When I called Marriott customer service, they immediately transferred me to a Ritz Carlton specialist who helped me happily. He connected me with one of the Concierge specialists on site to help me with any of my needs during my stay. Everything was perfect. From the time I stepped out of the cab to the time I left to go home, I couldn't have asked for anything better. Franco, Daniel, Cynthia and Begonia were the rockstars at the property, but everyone was pleasant and accommodating. They offered great suggestions on food options, activities, and even cared about my well being when I wanted to go explore Cancun by myself. They address you by name, every morning, the staff anticipated my needs and already had some extra condiments at the table that they had seen me used the day before. Our time renting the cabana was so peaceful. All of the food was delicious. The club level floor offered delicious breakfast and lunch options (dinner options were good, but breakfast and lunch were fantastic). I don't normally spend a lot of time in my hotel room because I really don't see a point to spending time in the room and not explore the city, but the Ritz made me want to spend time in my room. I had a oceanview with a balcony. The room was so luxurious. I slept soundly every night. And I am definitely really picky about the decor in a bathroom. It was gorgeous. I am already planning another trip. 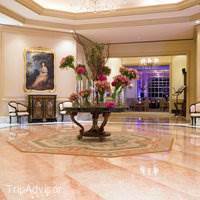 If you want to treat yourself and pamper yourself, the Ritz is the perfect place. Husband and I just returned today from a 7-night stay at the Ritz. It was an enjoyable and relaxing vacation! What we enjoyed:From the moment we stepped out of the Taxi, we were welcomed by every single RC employee --> from the front door staff to the maintenance people. Not a single employee failed to make eye contact, smile, and tell us good morning or good afternoon (in Spanish).Check-in was a breeze, and our room on the 3rd floor was very nice with a larger-than- normal-sized balcony with 2 chairs, a table, and 2 padded lounge chairs. The view of the beach was pretty. It was not ocean-front; but we did not pay for ocean front; just ocean view. It did not disappoint. The a/c worked wonderfully well. I like it COLD! No humidity; no musty smells (and I'm fussy about a smelly room). The room looked updated and was beautiful. The bed was very comfortable. For the most part, it was pretty quiet when we were in the room with just the occasional closing door from another room close by (and I'm fussy about noise). I did, however, use my IPhone to listen to white noise to sleep at night; which helps me sleep soundly. So that helped with any exterior (hall or outside) noise. A small piece of Mexican pottery was waiting for us as a "welcome gift" by the side of our bed. The safe, while a bit small, was lighted when opened. There were complimentary robes and slippers in the room. Maid service was very, very good. The hotel amenities in the room were first class. 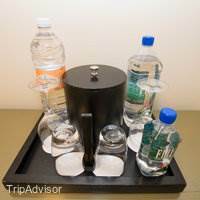 The little touches like water bottles every day, cappuccino machine in room, potpourri in the closet and bathroom, mouth wash, distilled water for the iron (husband used it for his CPAP machine, and thank you very much RC, because we would have otherwise been searching for distilled water to buy). The shampoo, conditioner, body wash and body lotion were of good quality. Plenty of towels, hand towels, and wash cloths in the room. Chocolates were left on the door when we chose not to have evening turn-down service. The pool staff and pool restaurant staff were very, very attentive. 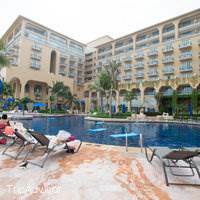 I won't single out any one employee, because they were ALL FRIENDLY, PROFESSIONAL, AND PROMPT.The pool staff were constantly handing out cold glasses of water for us to drink while lounging, fruit popsicles, very cold, yummy-smelling wash cloths, and a cool spritz for our faces. Lemon or Lime infused ice water and plastic cups were always available at two areas near the pool, as well as complimentary sunscreen and aloe vera lotion. If we wanted shade, umbrellas were happily provided by the pool staff --> sometimes one, sometimes two, and once we even asked for THREE (while on the beach), and placed exactly to our satisfaction. Flags were placed on the lounge chair to "raise" when we wanted pool staff's attention. 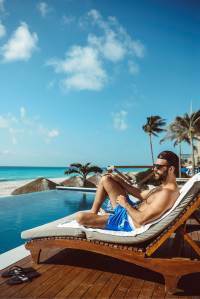 The staff were ALWAYS watching the pool and beach guests, talking among themselves on "walkie-talkie"-type devices making sure everyone was being looked after. The loungers at the pool area were padded, which I always look for before booking a hotel, as I have a bad back and MUST have a padded lounge chair.I think a few of the pools were heated. The spa was pretty large in a rather secluded part of the hotel ocean front. 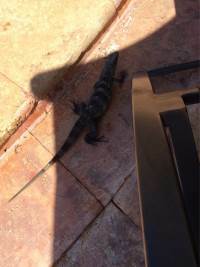 The occasional iguana would meander around the spa for a bit of sun. They were not intrusive and added to the tropical feel. The grounds were lush and well maintained. There is a beach life guard watching at all times from a raised lifeguard tower. Plenty of lounge chairs around the pools and on the beach. Very attentive staff constantly walking back and forth on the beach making sure guests' needs were taken care of. Extra touches like an air conditioned poolside bathroom with padded anti-slip mats on the floor and hand towels were noted and appreciated. The beautiful natural stone flooring surrounding the pool area had anti-slip edges on each step, which I've never seen at a resort before. A nice "safety" feature. 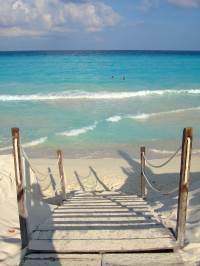 The white-sand beach and turquoise water made for a beautiful and tranquil view. Pelicans would dive for dinner near sunset. Fun to watch. 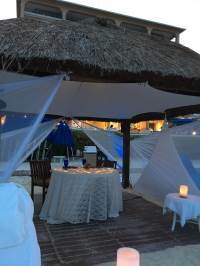 One night, several couples were having dinner under private/individual palapas (a nice-sized shelter with thatched roof) on the beach, and a saxophone player was serenading them (and anyone else in the beach area or on the patios). Very relaxing. We almost never left the pool area, so we mainly ordered from the pool grill. A favorite was chicken quesadillas with spicy habanero sauce and sour cream. When we checked out at 4 a.m. this morning, we were asked if we enjoyed our stay. The answer was "YES! "There were just a few peeves:The hotel was not crowded. I assume it's non-peak season. 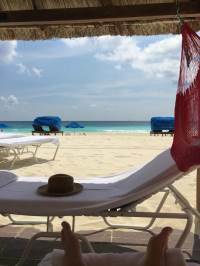 There were probably 20 palapas on the beach, and since we are shade-seekers AND I have a bad back, I would have thoroughly enjoyed "camping out" under a palapa on the beach every day. However, I didn't want to spend the approx. 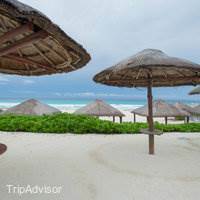 $180 per day to rent a palapa. Granted, we were told they come with fruit, water, and guacamole; but I could not justify paying that much. I noted very few were rented the entire 7 days we were at the RC. Perhaps management should consider lowering the price during non-peak season so as to encourage more people to rent them while earning a bit of revenue (versus having almost all palapas EMPTY every day). 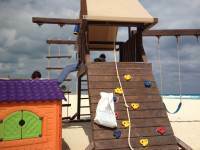 We were also surprised that the wooden loungers on the beach cost $25 a day. We paid the fee one day and enjoyed our time on the beach, but chose to spend the rest of our days poolside in the padded FREE loungers. There are MANY plastic loungers on the beach that are free. I just can't tolerate them (my back can't). Another peeve is that I am not a tall woman, and almost NOWHERE in the pool area could I lounge and SEE THE TURQUOISE WATER beyond the beach. There were only two small areas (near the spa) where 4 lounge chairs could be placed where I could SEE THE WATER FROM POOLSIDE. 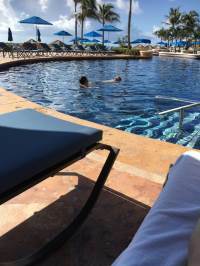 I asked my husband why he thought there were so many short stucco walls around the pool which blocked my view when I was in a lounge chair, and he suggested it was a safety feature. I mentioned replacing the walls with plexiglas, and my husband asked me if I realized how hard it would be to keep the plexiglas clean. Ok, then why not wrought iron? Did those few peeves ruin my stay? Absolutely not! 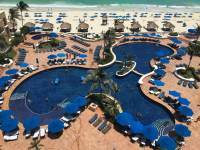 Would I stay at the RC Cancun again? YES! 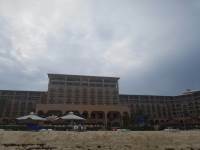 It is a stately, lovely hotel on a lovely beach serviced by lovely and friendly people. 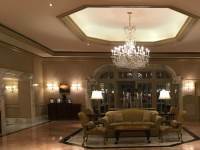 This was my first experience with a Ritz-Carlton property. I've heard about the exceptional service. 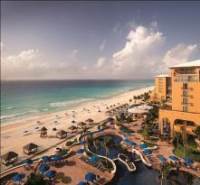 And I must say the team at the Ritz-Carlton Cancun exceed my expectations. I felt like I was at home. The service people all knew my name. It was as if I'd stayed there before. The food was great and the drinks was great! I will be visiting this property again. Everything you expect the Ritz to be! 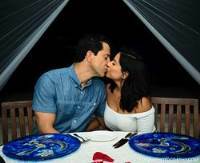 My husband and I enjoyed beautiful scenery, gracious service, excellent food and drinks, 2 private beachside yoga classes and an amazing 80 minute couples massage. One of the most relaxing and memorable vacations we have ever taken! Four generations of my family met here from all over the US (CA, NYC, OH &FL) for our annual vacation. It was amazing. My first experience at the Ritz and I've never been treated better! 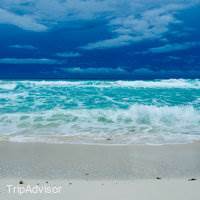 We got a great deal through Marriott Vacations since it is low season. We don't mind traveling at this time of year because the hotel and pool were sparsely populated, there were very few children, great weather, attentive staff and cheaper prices!At the Ritz, you don't just find a chair by the pool and get it all set up for yourself with towels and umbrellas...they did all of that for us and came back often to move the umbrella and bring fresh towels. They brought around a spray bottle with scented water and spritzed my face. They have complimentary sunscreen and aloe by the pool. They cleaned the room in the am and then turned down the bed and tidied at night. They have an incredible breakfast buffet. It is $35 but included many savory items and mimosas. I had that at 10ish and then nothing more till dinner. There is a fridge in the room but it was almost full with drinks for sale. There is complimentary coffee and bottle water.The pool is large and very nice. One part is 4.5 feet deep and the other is a couple of feet deep. 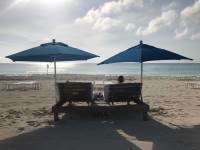 There is unfettered access to a beautiful white sand beach that is very clean and well maintained and populated with Ritz chairs and umbrellas that are complimentary. You can rent a thatched cabana but I don't know the price.It was amazing and I WILL return. Writing this review from room 5031. There has been a super-loud continuous banging since we arrived yesterday ... into the night and started again first thing this morning. Complained to the staff, but nothing was done. Unbearable! I wish I could post a sound-clip of it as it is soooooo loud and annoying. Hotel is completely empty ... they should have moved us to a section that was not directly above the construction. Bad customer service ...Somehow, they completely butchered our easy to spell last name in their system, even though our confirmation had it spelled correctly. The front desk said that they could not change it, so our entire stay we have been called by somebody else's name ... bad customer service.Just average service from the hotel staff for a Ritz-Cartlon property, maybe that is why they charge less for it ... definitely not elite.Bed was like sleeping in a canoe ... mattress must be 20 years old and is completely concave if you sleep on the left side of it. Wy wife's side was fine though ...On a positive note, beautiful beach, beautiful view, pool is nice and warm, breakfast buffet was pretty good ... still, I will not be staying here again. 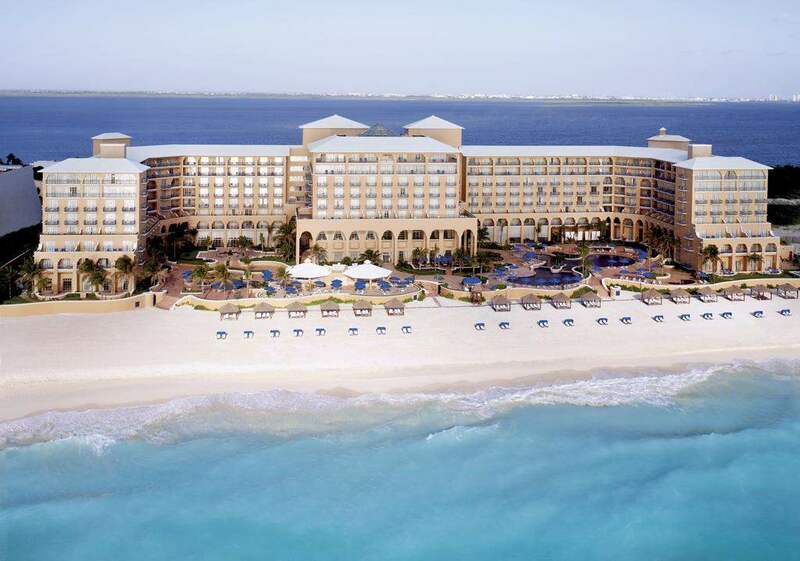 The Ritz Carlton is the best hotel in all of Cancun. 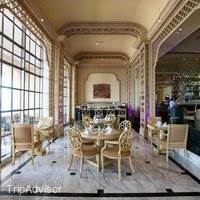 Fantino is a dining experience that should not be missed by the sophisticated traveler. Every staff nemember was gracious and competent. The Lobby bar offered an elegant respite from the day. We went there in July and arrival happens to be my son's bday and also my husband and I are celebrating our 20th wedding anniversary which we mentioned to the front desk. 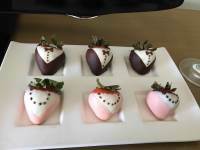 A few minutes after we settled in our room and we got a surprise welcome of mojitos, champagne and strawberries dip in chocolate with cards greeting us the wonderful occasion. And that is just the start. Everyone was very nice and friendly and very helpful. 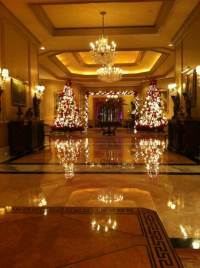 Hotel is very beautiful, reminds us when we were still living in Paris, France. My family and I had one of the best vacation ever and if we ever go back to Cancun we will never stay anywhere else. Great facility. Awesome staff. Magnificent view!! 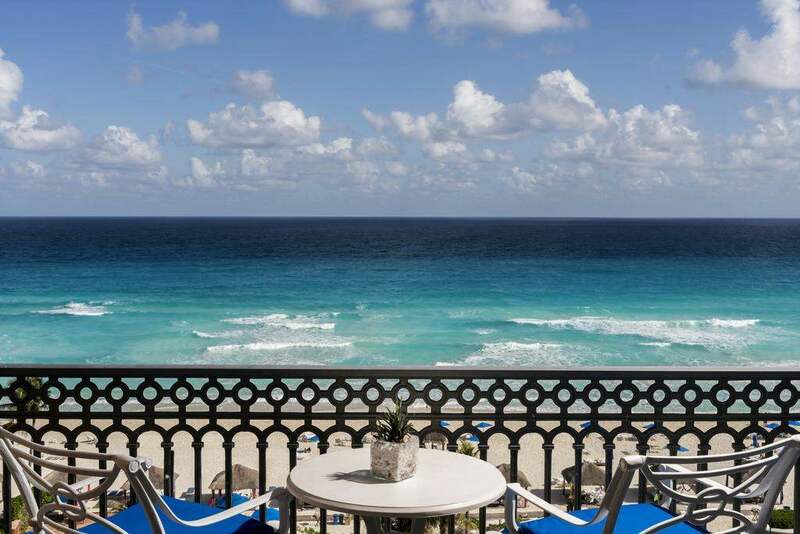 All rooms have a patio overlooking the beach. In-house restaurants are very pricey, but lots of restaurants nearby, just a five-minute bus ride. Concierge team is very helpful. Only opportunity i see is to have sushi chef make sure sushi is tight. The positives are everything else. It was an anniversary week for my wife and I and before we went to our timeshare I wanted to really treat her with the same type of class she deserves. 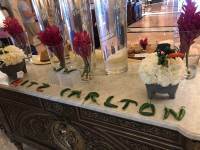 The Ritz Carlton did not disappoint and went way over our expectations. 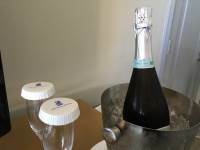 The Manager had a bottle of champagne and candied strawberries waiting on us with a very nice note ( Class) Everyone was so very nice, from the pool attendants to the room service server that set up our breakfast in our room. 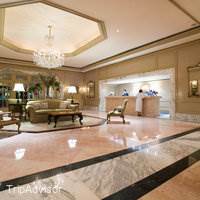 The front desk and lobby staff were so accommodating and my wife was floored by the chilled wash cloth. We loved our experience and cant wait to come back. Thank you and the staff for such a great start to our vacation. My wife and I stayed in this hotel for one week. We had an amazing journey. Very warm and professional staff. Excellent etiquette. Rooms are super clean and cleaned twice a day. 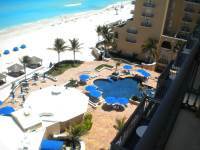 The location is amazing, close to all attractions and nice restaurants. 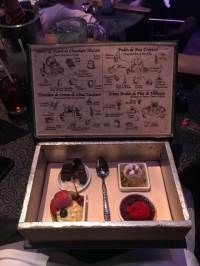 The food and presentation are phenomenal. 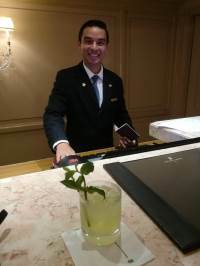 The concierge Miguel is very knowledgeable. He makes sure that you are treated as a VIP to whatever restaurant or bar he send you to. I totally recommend this hotel. 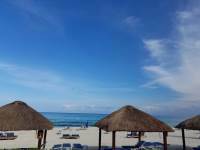 If you are looking for a NOT all inclusive experience in Mexico with all star service then I would suggest you check out the Ritz Carlton in Cancun. 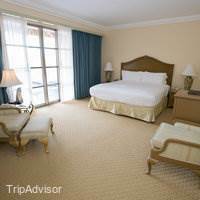 Hotel grounds and rooms - 5 star without question, clean and comfortable. All rooms have some kind of ocean view. There is a small store with various food and drink items at the base of the drive into the Ritz property. Within walking distance of good eating establishments. Although the food at the on property restaurants is very good and frankly fairly priced for the environment. 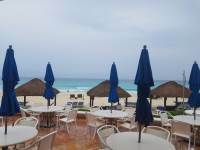 Beach - fabulous, with many servers and attendants prepared to make your day enjoyable. They will set up your beach chairs and umbrellas and ensure you are stocked with whatever you may need for the day. Beach vendors are few and far between. 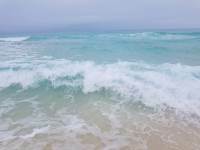 Ocean is generally calm and warm. Service - 5 star from the bell man who open doors for you to easy check - in to check out. In particular, Eduardo and Alfredo servers at the beach. Nothing but class in their games. Worse Ritz Carlton I've ever been! 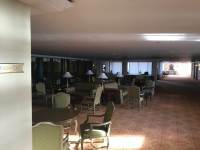 Hotel build more than 35 years ago, and barely renovated since then...it's about time guys! 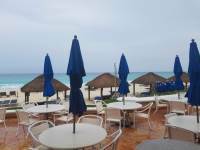 Common areas are creepy, hotel is very badly distributed, nice location and great potential, let me know once it's renovated, I couldn't even finish my stay I had to go to another hotel in Cancun! Great property! We went during the off season so it was very quiet! Service excellent! We recommend the Club Lounge!! Good for couples and families! Great for a scape and to have some quality time together. 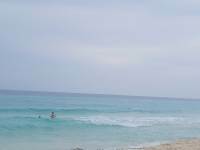 We only went to Cancun for this property as we are familiar with Ritz Carlton Hotels, although the majority of our activities were in playa del Carmen. Also Cancun felt very safe. 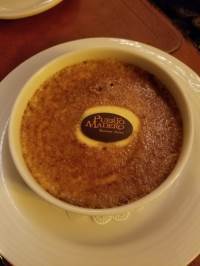 My wife and I were celebrating our 2nd anniversary and decided to split time between an all inclusive resort and the Ritz. Our first four days at the all inclusive resort were fantastic and the remaining 3 nights at the Ritz were very nice but nowhere near as nice as the all inclusive. The staff at the Ritz was very friendly and helpful. We chose to mix the trip up to allow for dining out and not always where we were staying. When we first asked someone at the Ritz where they suggested, they told us they were supposed to recommend their own restaurants and not external ones. We persisted and one great thing about staying here are the great restaurants directly across the street (Harry's and Porfirio's). Hotel is very clean. 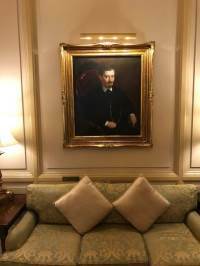 As I stated above, needs updating in some places (they have some creepy old portraits you'd expect to see only in your grandparents house back in the 80's). Location, Beach and views are perfect! Rooms are spacious, clean and good. Laid back hotel with many amenities. I was expecting Ritz level customer service - it was regular. 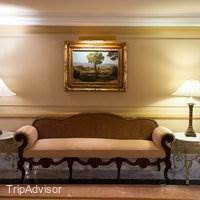 Do not expect upgrade to suite even with availability and Platinum status. 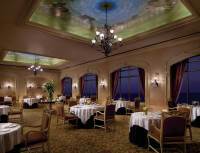 Don't forget to enjoy breathtaking views and romantic evening from outside balcony of the Cafe. The hotel staff were all amazing. Moses at the Casita Restaurant was the best waiter I have ever had. 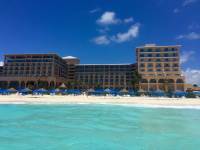 Couples take my advice skip the all inclusive resorts, and Stay at the Ritz Carlton. 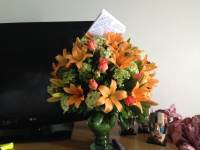 It was our 10 year wedding anniversary and a very memorable stay. The service at this hotel is surpassed by none. Every attention to detail is provided to make your stay a wonderful experience. The hotel staff were so kind to extend our reservation an extra night due to travel difficulties we had in trying to return home. Everyone from the housekeeping staff to the cabana attendants and concierge makes you feel welcome and truly want to help you make your stay the most enjoyable it can be. The food and drinks were fantastic EVERYWHERE in the hotel - especially the morning breakfast/brunch. Even the turtle rescue attendant who works at night was kind enough to call my family members so they could watch/help the turtles lay their eggs. There are not enough words to describe how fantastic this hotel and it's staff are. 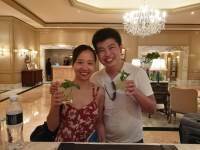 I had a bad experience at the Ritz Guangzhou earlier this year during a business trip but after talking to the Guangzhou Ritz's manager for 30 mins i decided to give Ritz another chance for my honeymoon.The stay refreshed my impression to Ritz. Everything is just perfect. The check in is impressive. the ice cold mint tower and the welcome drink will stay in my memory for a long time (this is the sweating Cancun!). Only wish the drink has alcohol in it.Room service is the best! see the swan below (toys are my wife's..).The hotel is old and elegant. I like watching the drawings on the wall to understand the local history. The hotel needs only maintainance, not update.food is good. we spent all the time diving and experiencing local food outside so didnt have a chance to experience the hotel food. will try next time.location is great. taxi outside. steps away from bus stop and some local restaurant. Top service - Ritz you made it. Very relaxing family fun. Kids had a blast. Service was great. Good food in hotel and surrounding areas. Rooms were clean and staff was friendly. We basically did as little as possible each day and were very content. Our daughters made friends and did poolside pottery daily. 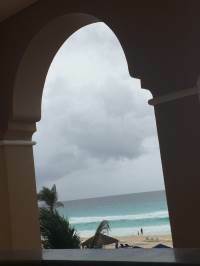 Stayed with some of my best friends while we were visiting Cancun this last week, The Ritz is definitely the definition of elegance and first-class customer service, the staff is great,attentive and always anticipating our needs, when it comes to comfort they just have the most comfortable beds, like clouds. Not joking. The pool and views that the hotel offers are incredible. Great stay. Awesome hotel. Great staff! We celebrated our 16th year anniversary at The Casitas, excellent food & service. Daniel was great! Would definitely go back & recommend to family & friends. Two thumbs up! After I visit more hotels and compare them with Ritz I saw the big difference .It is excellent hotel with very very nice views. Thanks for all the staff and owner. we enjoyed all the time there. Also the buffet was very excellent. This Resort Hotel is a perfect tropical paradise. Private beach with light sands and blue water. Amazing service and each and every meal was it's own unique experience and so delicious. 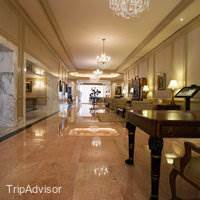 The staff was beyond friendly always referring to you by name and extremely helpful with all your luggage, doors and suggestions for maximizing your stay. 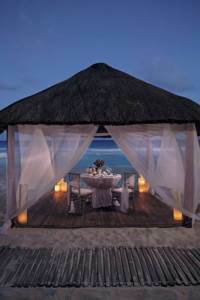 There's an option for romantic dinner on the beach which is highly recommended. Absolutely exceptional customer service. 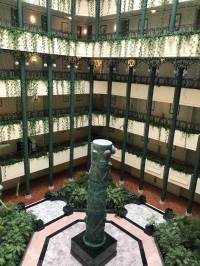 The physical characteristics of the property were good--room was modern, lobby stands the test of time, though the hallways need an update--but the level of customer service was remarkable. Staff are incredibly attentive, accommodating, polite and exhibit the utmost of professionalism. Our room was upgraded free of charge to a suite. This is a special hotel that makes for a special experience. 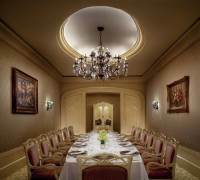 I have stayed at many Ritz Carltons--and this one meets the Ritz standard and then some. I would highly recommend such to fellow travellers. Been many times to Cancun and always try a different Hotel . The building is older and needs some work. The food and amenities are expensive. But would return because of the service! From the bellboys to management! Great work!! 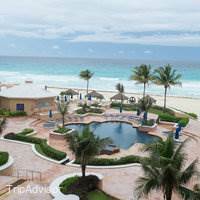 Not your average Cancun stay! 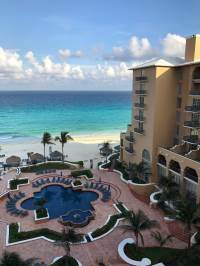 After spending the last couple of years at all-inclusive hotels in Cancun, for our 25th wedding anniversary, we were looking for a hotel with a little more sophistication. We were very pleased with the Ritz Carlton. 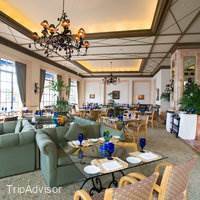 The service by the entire staff was better than anywhere else we have traveled in the world. Everyone goes out of there way to ensure you are comfortable and that your needs are met. 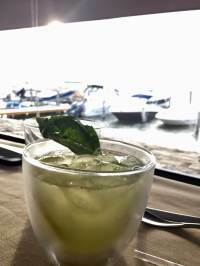 The food in Fantino was excellent and the beach-side dining at Casitas was memorable. I highly recommend the Ritz Carlton. It was the best customer service I have ever received. Every staff member was excellent and all of the food and drinks were amazing! A special thank you to Ernesto at Fantino and to Alexandro at the front desk accomadating all of our request as well as many others for the special hospitality given. So excited to go back next year!!!! 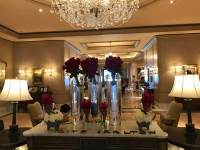 One of the best Ritz Carlton hotels I have stayed at to date! The Ritz has gated security where you can leave your car. 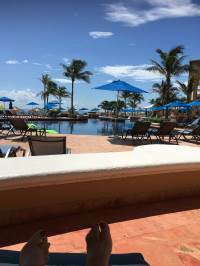 The beach and pool bar are fantastic with great service. Further, the interior garden in the main building is beyond beautiful. The food was delicious and drinks were fantastic! The bed was super comfortable and the bathroom was spacious. They even had evening slippers for us. One evening they surprised us with fruits covered in chocolate. My most favorite part staying at this hotel was being on the beach and being able to raise your flag that was attached to the beach chair when you needed assistance or wanted to order food. A waiter or worker would come right away to help. This was a very good hotel and stay, which fell a little short of the "excellent" experience that I've had at most Ritz Carlton's. The check in process was the poorest experience and really started the stay on an off-note. The clerk was very unfamiliar with the American Express Fine Hotel and Resorts program. As a frequent user of this program he was speaking to me like I was in first grade and I knew far more than he did about the program. He even had a hard time when trying to read the benefits. My second impression of the hotel is that is doesn't feel like a beach hotel. It feels like a business hotel and the decor in the public areas feels very outdated and does not fit the profile of a beach resort. Other than those two items, the hotel was great. Service from the balance of the RC team was superb, as you would expect. The best service team, by far, was the food and beverage team. The food and service for breakfast was the highlight of the hotel experience. It may have been the best RC breakfast experience I've had to date. The food and service quality from the pool was also great. Room service was great too. The room itself was very comfortable and clean all around. All of the activities available through the concierge, are only viewable on an iPad. There is no material you can take to your room to look through and decide what you might want to do. They concierge said he would email to both of us and that did not happen therefore, we booked our activities on our own. (Their revenue loss) Additionally, the amount charged for private transportation to/from the airport is unreasonably high. By way of example, it was $90 from the airport to the hotel, while a comparable taxi van took us to Playa Del Carmen (an hour further than the airport) was $50. I would avoid this service. All of that said, this was a very good hotel for a 4 night stay. Visited this Hotel earlier this summer. I had a pass for their VIP lounge. The stay was excellent so was their service. Absolutely fantastic location and views from most rooms. The food was outstanding. Thoroughly enjoyed my stay and the hotel. I highly recommend it. 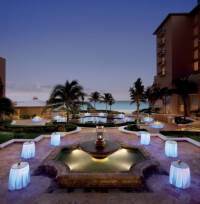 This was my wife's and my second time at the Ritz property in Cancun. It was a great choice to return after 3 years to this fantastic hotel.Everything was just as you would expect at a Ritz property - first class in all respects.The hotel and grounds are maintained impeccably, the staff is courteous and friendly, and the food is superb.We rented a beach casita each day and enjoyed the benefits it offered compared to being on the beach with just an umbrella.By the second day, the staff called you by name whether it was by the doorman, wait staff, beach attendant, or the concierge.The twice daily housekeeping was timed to our comings and goings so not to interfere with our movements.We took advantage of the Sea Turtle alert and were notified of nightly turtles coming ashore to lay eggs on the beach. We also were lucky enough to be part of a release of new hatch-lings. 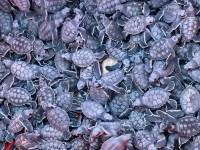 The conservation group heading up the program does a great job in educating the public on sea turtles as well as protecting the eggs through the incubation period.We're planning our next trip in 2018. It's hard to wait! 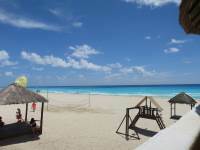 Cancun is definitely a place to love. 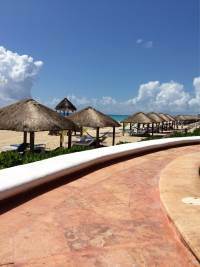 I recently got back from a four-day escapade with The Ritz-Carlton Cancun. The city is way bigger than I imagined and has a whole lot to offer besides from the beautiful turquoise waters and the friendly and polite people of the city.This isn’t my first time to Mexico, however, it is my first time visiting la Riviera Maya, and it was the perfect way to top off the summer season.Every experience that The Ritz-Carlton offers is always the best of the best: From the food and location to the staff and entertainment.On my first night at the hotel, I had the chance to experience the Chef's Table with Chef Mara Barba, which I highly recommend if you want an intimate dining experience. 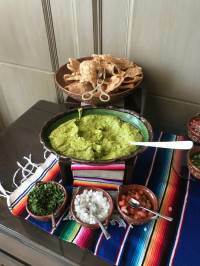 The menu for the night was Mexican cuisine with a local twist. 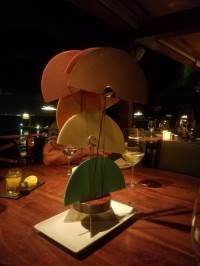 We were treated to a 6-course meal, which was prepared inches away from us, and in between bites we sipped on local Mexican wines. As she cooks she explains the story behind each individual dish and how she transformed it to make it her own. 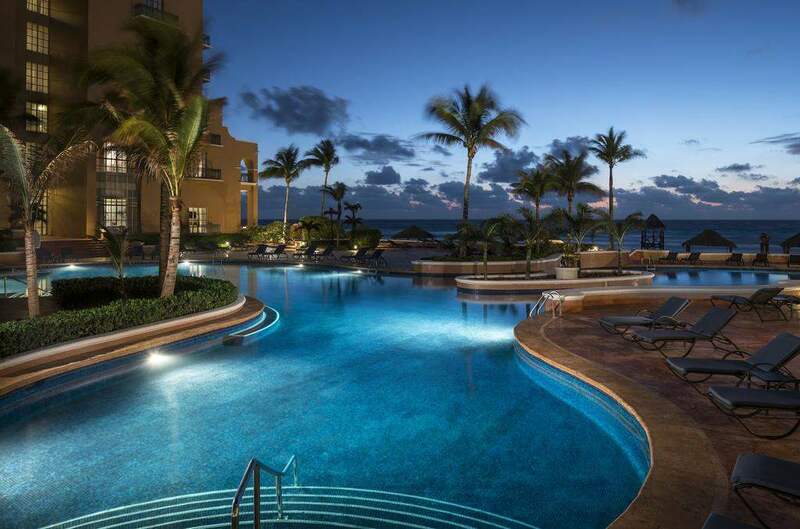 This is a must do experience when you check in the Ritz-Carlton, Cancun.The next morning I was pampered at the spa and treated to a warm stone massage. It was a first for me so I was quite curious about the message, and as expected it was one of the most relaxing experiences I have ever had. Stones play a huge role in Mayan culture as they were used in ancient rituals to heal and restore vitality. 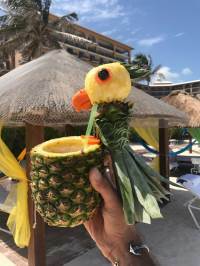 I was so relaxed I even fell asleep for a quick second (*insert embarrassed emoji face*).In the afternoon I decided to hit the beach and spend some time in a cabana, sipping cocktails in hand-made custom pineapple parrot cup. And if you needed anything else besides the beautiful sight of the ocean to make your stay even more relaxing, the staff of the hotel came by to offer a head massage, with a cold towel and cucumbers over your eyes. Like can it get any better? I can now say I know what heaven feels like. Maria killed it. (Hope you are reading this Maria. 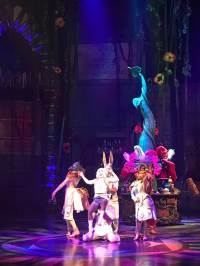 )That night we took a 30 min drive to see the Cirque du Soleil show "Joya", exclusively created for Mexico, unlike other shows this one has a culinary twist to it where you have the option of having dinner prior to the show. The VIP experience offers you priority seating and access with unlimited champagne, a welcoming cocktail, a full hour of pre-show entertainment right before you indulge in an intimate and exclusive dinner before the show starts. The entire experience is about 2 hours and a half. 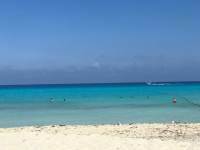 I urge to go see it if you are in Cancun, Rivera Maya or Playa del Carmen.On the last day, I had the chance to visit Isla Mujeres with Albatros Catamaran. It requires full day so prepare for that, a total of 8 hours starting at 10 am in the morning, do not forget your sunblock. It's a great way to get to know Isla Mujeres as they take you around the island to visit a few spots, beach clubs, the picturesque town and more. Plus we had a chance to go snorkeling out at sea. 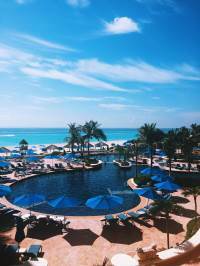 Isla Mujeres is just 30min away from Cancun so If you have the time go Explore this colorful place.Staying at the Ritz-Carlton is always a wonderful experience, but what truly makes it wonderful and unforgettable is the staff. Possibly the most attentive and polite staff I have ever seen. 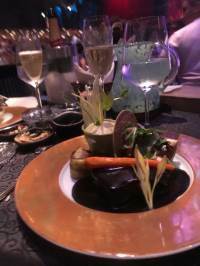 One of my favorite things about the Ritz-Carlton Cancun is the club on the 8th floor which offers food and snacks throughout the day, plus a range of tequila and Mexican bites at 5 PM. As always I will let my images speak for themselves. 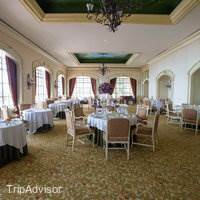 The staff and property at this Ritz Carlton location were great. The beach is very good - long and wide. 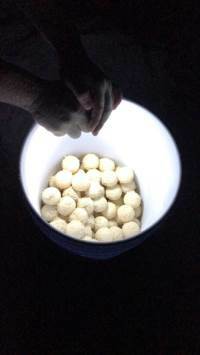 In Aug, after the sun is down, one can view the sea turtles coming to shore to lay their eggs. Quite an awesome experience and a great hit with the kids. The hotel staff (young Gustavo) working at the turtle protection and conservation site near the hotel was amazing. 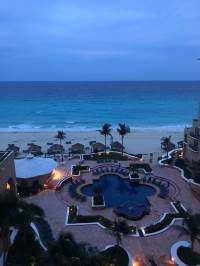 My girlfriend and I stayed at the Ritz Cancun last week and enjoyed it immensely. 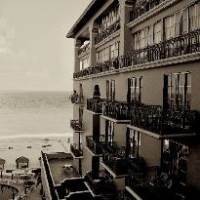 Our oceanfront room was well appointed and the staff did a great job. The pool and the beach area were wonderful and easy to access. I had a massage that was one of the best and I highly recommend Fantino for dinner.The hotel seemed relatively empty which was actually a plus. There were some young children but no older kids because of the start of school.Any negatives were not because of the hotel. Getting a taxi at the airport is a frustrating process and it may be advisable to arrange your pick up in advance; Ubers are not allowed to approach the airport entrance. I'm usually adventuresome but I would advise not renting a car or straying too far. I didn't feel particularly unsafe but you have to be cautious.